For the last six months, we’ve been engaged in an exciting project called The Global Platform on Participation and Protest, a new data visualization and exploration tool for world protests. 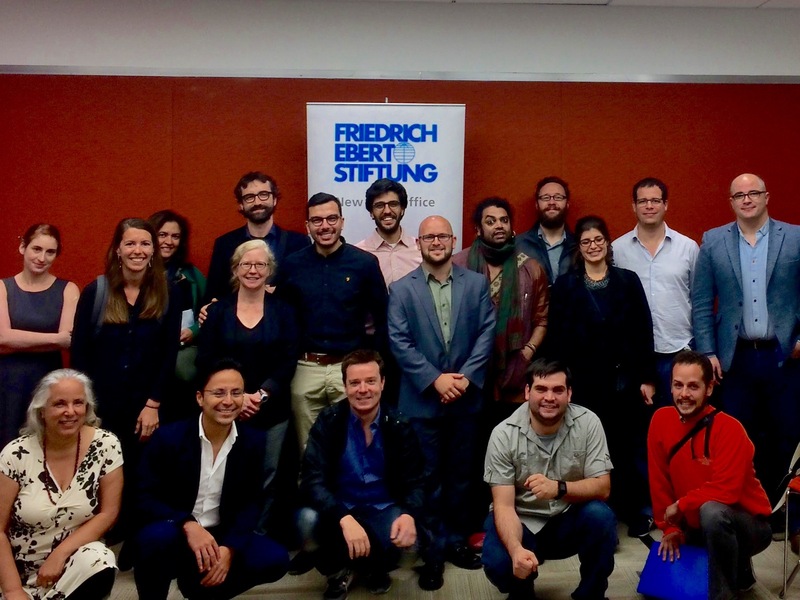 This project was highly-collaborative, encompassing the participation of at least four different kinds of actors: researchers from the political foundation Friedrich Ebert Stiftung and the Initiative for Policy Dialogue, boutique NYC design firm Two-N, and activists from a dozen different countries. We launched the platform this week, and thousands have visited the site and shared it across their networks. 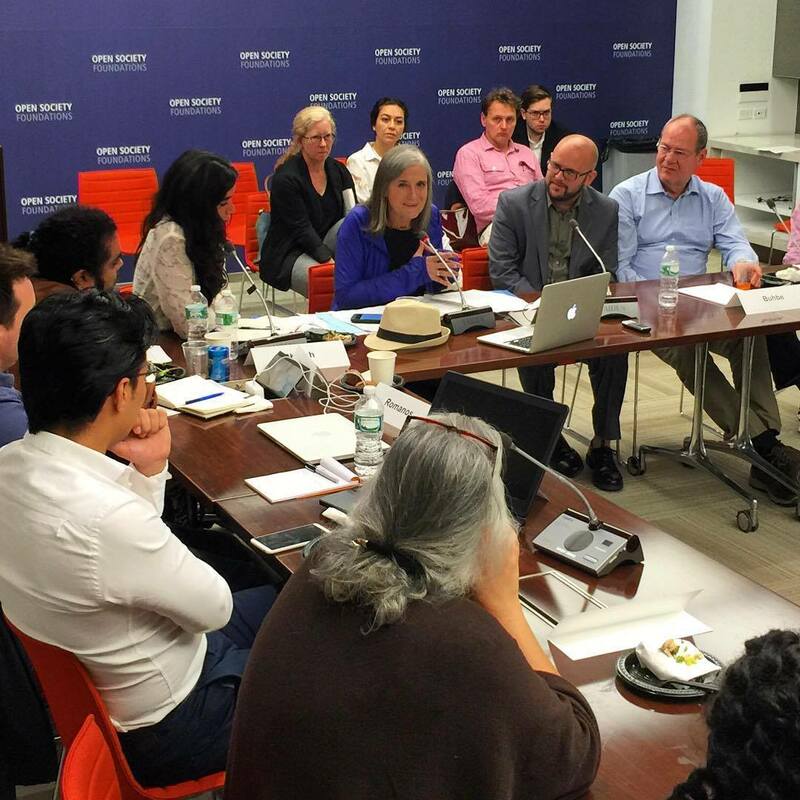 We helped to organize a conference in New York City with about 40 movement leaders and thinkers from around the world. All in all, it was a beautiful and exciting (and at times exhausting!) project. The Liberati Group role in this project was to project manage. That is, we were responsible for overseeing the entire project and ensuring that everybody involved was doing their part and communicating it to the rest of the group. As is often the case, a small number of people end up doing most of the heavy lifting (10% of the people do 90% of the work), but the project manager’s job is to make sure that all players are getting along. Also, we stepped in to fill capacity where other groups couldn’t, a recurring theme in Liberati-land: we sometimes play the “utility guy” in the band! Having a project manager is critical to a project’s success, especially in groups that operate more horizontally: when groups operate with less-than-strict vertical hierarchy, there won’t be group accountability unless someone is tasked with being the benevolent dictator. Their power doesn’t have to be unilateral — in this case the project manager actually reported to the funding organization — and it should be exercised skillfully and respectfully. As with any leader, you have to earn people’s respect and trust before you can do anything. When people from many different disciplines collaborate on a project, everyone brings their own jargon. The role of consultants like us is to bridge these specialty gaps by translating between them so that folks can understand each other. Sometimes this means literal translation between languages (which we can do!) but more often it means helping a social scientist understand what a computer programmer is saying. Or helping a classical economist understand what a social activist is saying. Listening deeper and more clearly is key. This project began, like most do, as a pipe dream: an ambitious and totally vague idea. In time, we refined it to an achievable and calculated plan with deliverables and timeframes. When timeframes shifted, we adapted without cutting corners or quality. We have to be agile and flexible without allowing excuses. We have to be aware that bottlenecks occur when individuals are solely responsible for tasks that other group members rely upon. A good project manager identifies strains in the plan, and pushes people to adapt smartly. Finally, pushing farther means attempting to do a little bit more than what is required by the client. This is different from making up what the client wants: it is extending their baseline requests to a higher level of quality, perhaps even surprising them slightly with the results. That’s what makes the difference. We were honored to participate in The Global Platform project, and look forward to continuing work on it as it grows and expands. This entry was posted in Blog Post and tagged #GlobalPlatform, #MKTG, #NewMedia, #OWS, #Protests, #SocialMEdia. Bookmark the permalink.